Wimps of Seattle (not Chicago, that’s different Wimps, ok?) have a shiny new fluorescent yellow piece of vinyl. Ratner, Nyce, and Ramm have laid down 4 songs collectively know as Party At The Wrong Time. The 7″ will be released on January 21st a/k/a next Tuesday via Help Yourself Records (home of Dude York, Chasity Belt, Childbirth, The Narx, and Ubu Roi). The lead single is a little ditty name of “Distraction,” and like most Wimps songs, this one does get right to the point. Party At The Wrong Time will be available @ shophelpyourselfrecords.com. And while you are at it grab their Repeat tape @ insound.com. 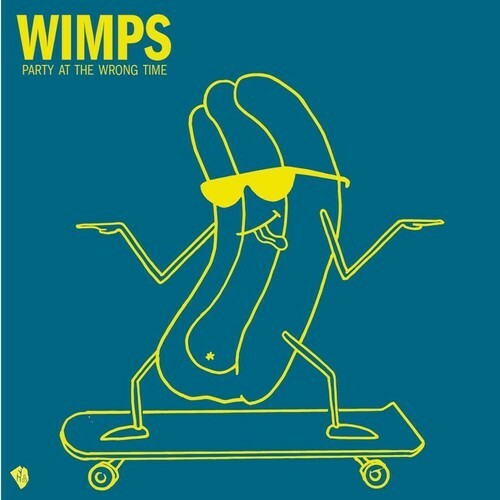 Wimps might just come East sometime this year and play some shows in/or around NYC. So, be on the look out for that.